3. The card should have two buttons. Click "Admin." This will open the website editor in a new tab. If it does not open in a new tab, please check your pop-up blocker. 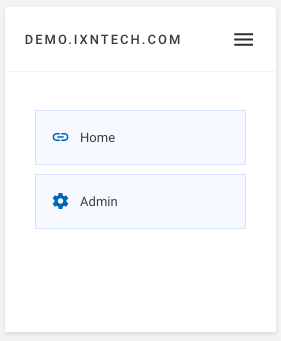 *Note: The Admin button will only appear for those with an Admin role or the person assigned to the site. For all others there will only be the Home button. 4. Congratulations! You have successfully logged into your website editor. Please note that any changes you make will not appear on your site, until you click "Publish" in the upper right-hand corner.